Blockchain is one of the best ways to make money and a number of startups have used the Blockchain to make money. A series of Blockchain Summit is held across the world in various countries. This time, Blockchain Summit returns to the Hong Kong with a number of innovations and ideas. 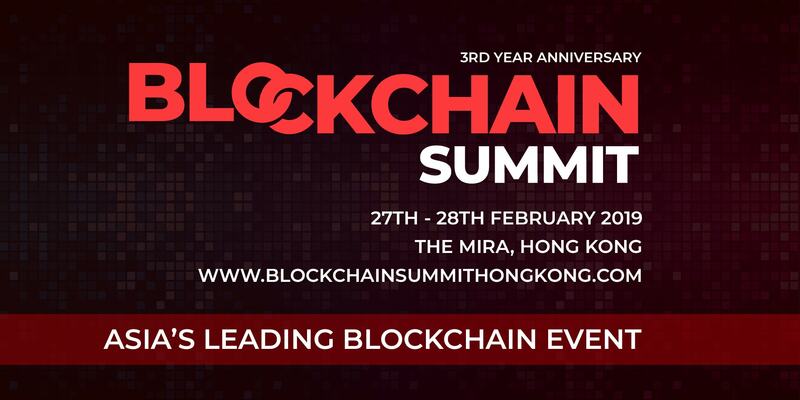 Blockchain Summit in Hong Kong on 27th & 28th February 2019. It will be held at The Mira, Hong Kong. It will be a 2-day event which will be hosting conference and exhibition connecting over 1,000 industry leaders, business decision makers, tech innovators and investors. It has grown exponentially in content and audience size. Based on unrivalled content and exceptional networking opportunities, Blockchain Summit Hong Kong is part of the largest dedicated Blockchain Event Series in the World. It has no even the co-located side events and will have purely Blockchain focussed audience. The Summit will have the unparalleled discussion with a number of visionary speakers. Cutting-edge case studies offer a “how-to” approach to deploying Blockchain technologies across industries like finance, insurance, logistics, utilities, media and entertainment, and more.